Canadian handset manufacturer BlackBerry has been struggling to survive for over a year, and has somehow managed to crank out new designs. Long ago surpassed by the likes of Apple and Android, the company found some solace in the third-place position. Unfortunately for BlackBerry, the Windows Phone platform has continued to steal away market share, and new reports suggest that Nokia now sells more Lumias than BlackBerry sells phones. From the beginning of April to the end of June, Nokia shipped out 7.4 million Lumias, whereas BlackBerry only sold 6.8 million devices. What’s even more concerning for BlackBerry is that their most recent models failed to garner most of the attention. Of the 6.8 million devices sold, only 2.7 million of them were Z10’s, arguably the company’s most anticipated and well-rounded handset. To make matters worse, leaked photos of the upcoming BlackBerry A10 and BlackBerry 9720 hardly conjure up any excitement. The company has clearly upgraded their phone line and have made vast improvements to the outdated OS, but their reputation as an industry leader is all but gone. They are currently surviving on their familiarity with the corporate community, but with the bring-your-own-device trend (BYOD) picking up steam, their days could be numbered. It’s time for them to make a radical move, and it must be sooner, rather than later. In a similar position to BlackBerry is Nokia. The Finnish firm lost $55 million during the most recent financial period, and second-quarter smartphone sales are down 27% from the same period last year. 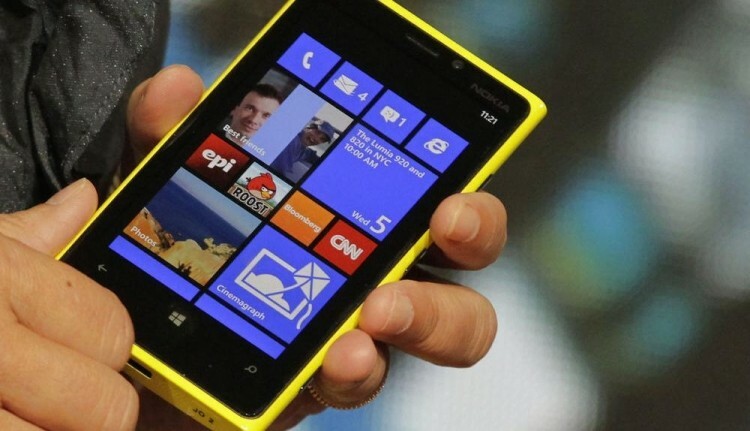 Luckily, Nokia can cling to the Lumia for life. The sleek phone line has continued to gain momentum, up 32% from the previous quarter. Seeing as the handsets have received favorable reviews based on the hardware alone, if Windows Phone 8 can find a way to diversify its app ecosystem, then success could be just around the corner.